This summer is proving to be the season of movie “reboots” (think Star Trek and Terminator Salvation), prequels (again, Terminator Salvation, sort of, and X-Men Origins: Wolverine), and sequels (Transformers: Revenge Of The Fallen, and Angels and Demons). 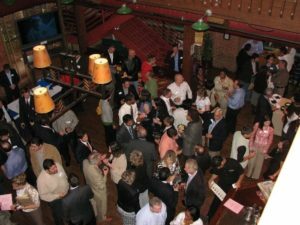 On average, sequels typically don’t fare as well as the originals unless you happen to be a superstar director — oh, like Sam Raimi (Spiderman 2) or Christopher Nolan (The Dark Knight) or maybe Lewis Howes (LinkedIn Networking Cleveland Part 2). 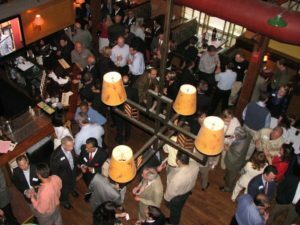 Last week Lewis hosted his second LinkedIn Networking event, AKA LinkedWorking, for the Cleveland area this past Wednesday and in the Columbus area the week before. Obviously the magic and the momentum is a long way from wearing off because both events drew even bigger audiences than the “originals”. Lewis went a little further this time around. In addition to putting on the general evening networking sessions, he hosted morning workshops centered on some aspect of using social networking, like Linkedin, Facebook and Twitter, in your marketing and sales effort. For example, he teamed up with social marketing guru and Cleveland marketing monster Jim Kukral, The BizWebCoach (TheBizWebCoach.com), to put on a two-hour training program addressing how to increase business profits through social media and online marketing. That event was originally set up for 40 people and sold out well before the scheduled date. So they added 10 more seats 3 days before the event. And it sold out again! 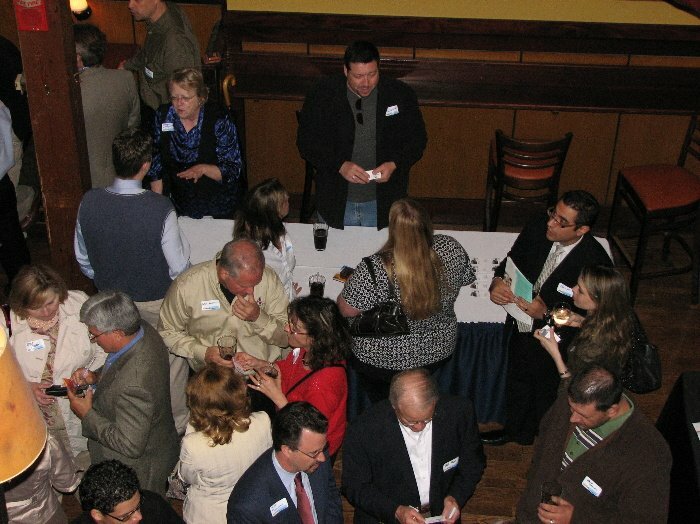 People are curious and they want to know how to leverage the power of social media in their business. They want to know how to build online communities of interested buyers and networks of raving fans. 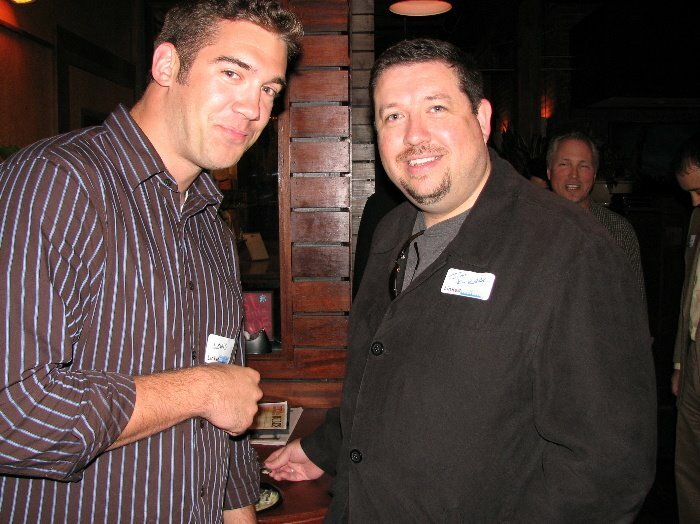 I didn’t get an opportunity to visit the Linkedin event in Columbus this go around, but I did arrive at the Cleveland event early this time and managed to snag a few moments with Jim Kukral. 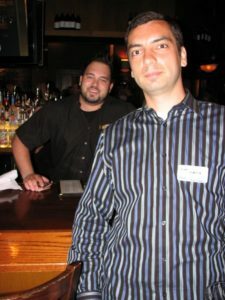 As you can tell from the video, Kukral looks like a former pro football player, but he is a very affable and easygoing guy who is extremely passionate about web based marketing. In our conversation, he stated that his business vision is helping people like you and me realize ours. Kukral has made the slides from his Social Media Bootcamp available on LinkedIn and they can be seen here. If you like what you see, give Jim a call or send him an email. Or better yet, try following the advice outlined in the slideshow presentation and get started doing something right now. And Lewis was still playing the Rock Star LinkedIn emcee, auctioning off door prizes from local event sponsors, walking about greeting people and making sure everyone was having a good time. 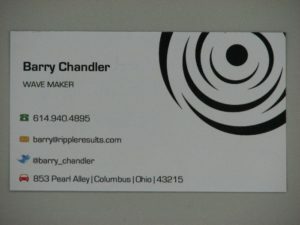 He also has a new gig with Barry Chandler called RippleResults (rippleresults.com) heading our way soon. There is one interesting thing about their card. Barry and Lewis have placed easy to identify icons on their cards for numerous ways to contact them. There is a phone icon for a phone, a car icon for brick and mortar address and a traditional mail envelope for email. And there is a small blue bird for connecting via twitter. What’s missing? The traditional fax line. Is this a sign of the way marketing is going? Is fax usage on the downslide as we move to transferring docs by email, collaborative spaces like Google Apps and chat downloads? I think we’ll know in another year or so. By the way, if you haven’t taken a look at Lewis’ book, LinkedWorking, I would highly encourage you grab yourself a copy and give it a read. I think of the book like this: If you want to know how to use a Polycom VoIP phone, you grab a Polycom manual and you’re good to go. However, if you want to know how to use a Polycom VoIP phone to generate sales, you grab some time with a sales person who knows how to use the phone to generate sales. This book is like that sales person. It’s not going to detail how to create a LinkedIn signature file or how to put a LinkedIn button on your blog. It will, however, give you direction in constructing your LinkedIn network, expanding your presence and building your online brand. I find it an excellent resource to have on hand when I need ideas on making connections. 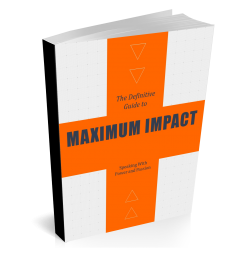 Get it here at LinkedWorking.com. In spite of the size of this event, I did notice that there were hundreds of respondents on LinkedIn who couldn’t make this event due to scheduling conflicts. But, they said that they are looking forward to the next one, which should happen in the August or September timeframe. So keep your eyes open and ears to the ground in anticipation of LinkedWorking Part 3… in 3D! James Betts from Server Technology and Kaija Bruveris (public LinkedIn Profile) of AXA Advisors making the rounds and connecting with people. 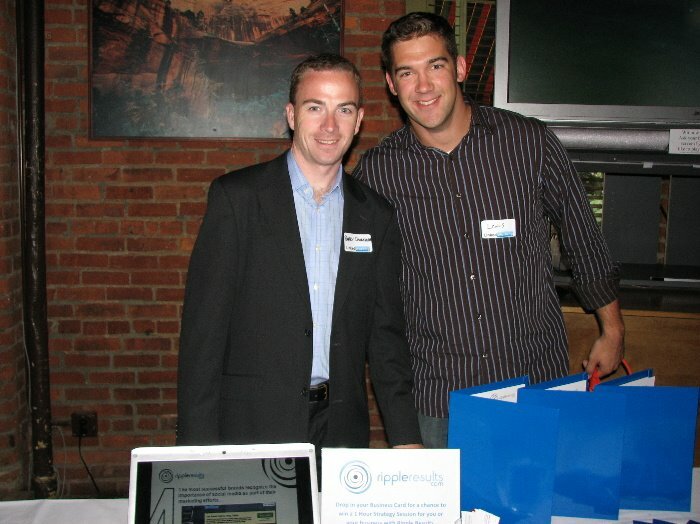 Lewis Howes with Barry Chandler showing off their latest gig, RippleResults. 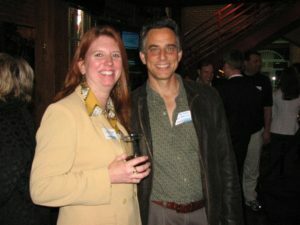 Lisa Ryan of asklisaryan.com and Bob Perkoski of LocalAdLink making the most of offline social networking at the event. 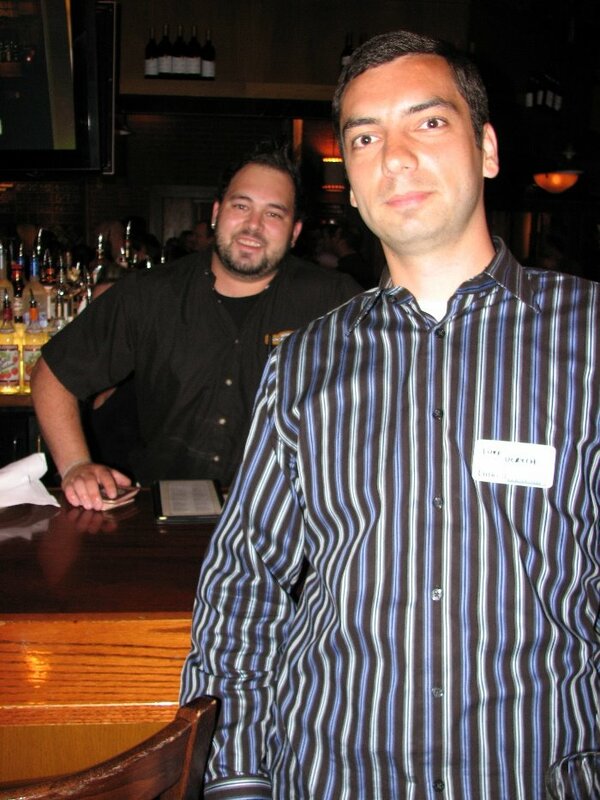 Luke Ulrych of Progressive posing with the Rock Bottom Staff. Jim Kukral, The BizWebCoach, offering consultations for scores of people. Hundreds of people converge on the Rock Bottom Restaurant and Brewery in The Flats just west of downtown Cleveland, to find new business contacts and make new friends.